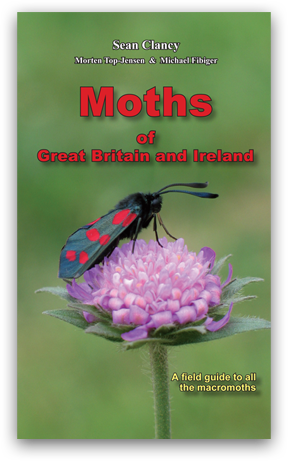 ...a wonderful collection of photographs"
"...worthwhile addition to anyone's library"
"Undoubtedly a book that anyone with an interest in British and Irish moths will want"
This field guide contains all the 874 species of macromoth to have occurred naturally in Britain and Ireland. They are listed in a new systematic order and classified using the most recent hierachy and nomenclature that have now been widely accepted and adopted throughout mainland Europe. Several new species are listed as British either due to recent taxonomic changes, studies of internal structures, or analysis of historic records. photographs, and as life-size set specimens on plates at the rear of the book, enabling the reader to make an accurate determination in the field to species level of almost all the British macromoths.